Update October 2016 - This restaurant no longer exists. Shame. There is a restaurant in the same location, but new owners, new name, not the same food. And another new restaurant! I seem to be blogging a lot of food recently, largely because we've not really been anywhere for the last couple of months since our excellent day trip in Phang Nga Bay in February. But low season is coming soon meaning I can take some holidays and long weekends to get out and explore. Anyway, being "stuck" in Phuket is quite nice! There have been a few restaurants that I have meant to blog for a while. Zaab Kafe (with a K) has been open for about 18 months I think .. at least that would be when I noticed it. 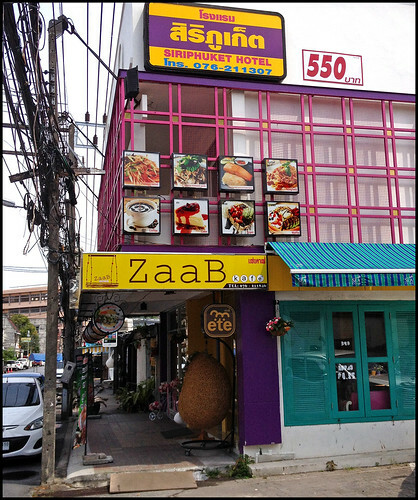 Zaab is on Yaowarat Road a couple of blocks north of the main part of Phuket Old Town. And yet, still very much in the old town - some buildings nearby are certainly not new. 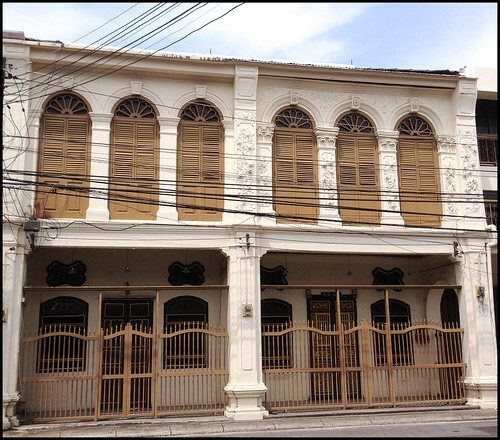 (above) And next door is this old shophouse with a wooden second floor. 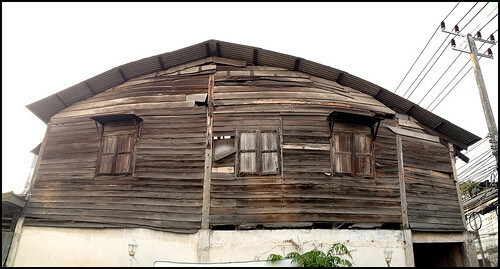 Definitely a "fixer-upper"! Zaab Kafe is a little more modern. Certainly adds a splash of colour to the street and just about tasteful enough not to spoil the old town atmosphere. Well, just about ... it is a little bit twee. 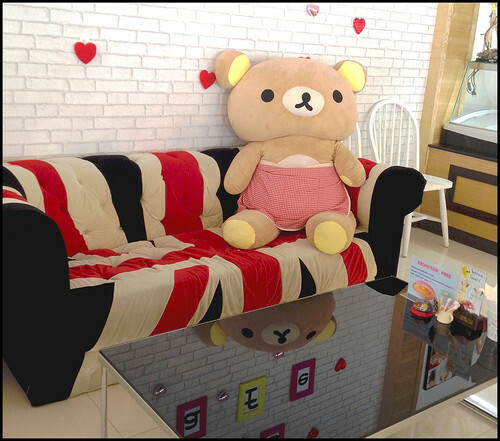 There is a certain kind of Thai people who love a place like this with colorful decor, and seats where you can take your photo next to a Kitty or a big teddy bear :) Absolutely a place for the local market, which does mean very good Thai food. The last couple of times I have been here, I have left with a slightly aching belly, too full and yet still wanting more! The menu is varied and they have all kid of drinks - different coffees, juices, shakes ... I had a very good mango shake last time. You can also get a beer. Here's a few of the dishes we have tried at Zaab. 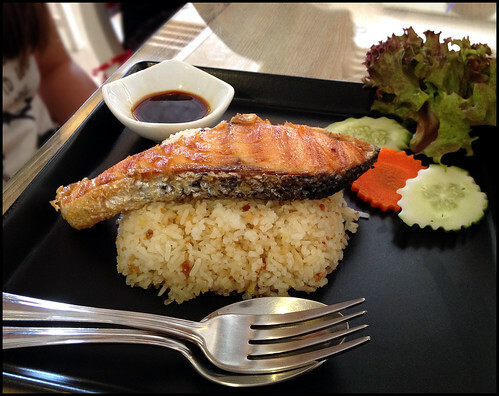 (above) Salmon steak with rice - a kids favourite. 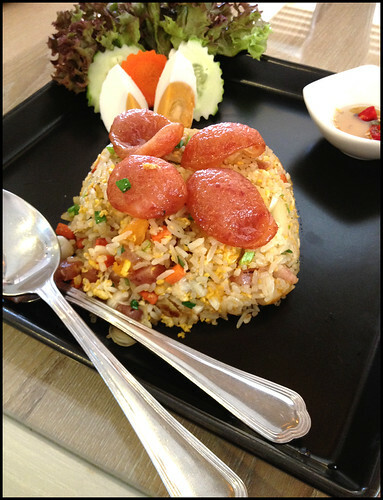 (above) There are plenty of fried rice options. This one made with Chinese sausage and salted egg. 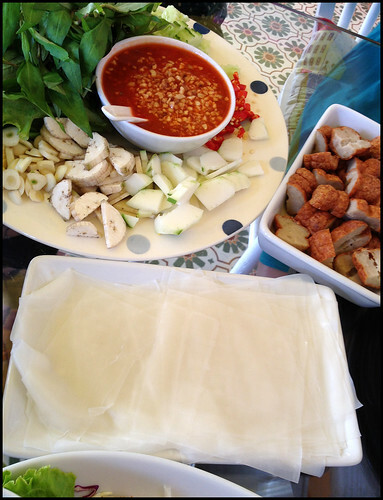 (above) Make your own Vietnamese style fresh spring rolls! 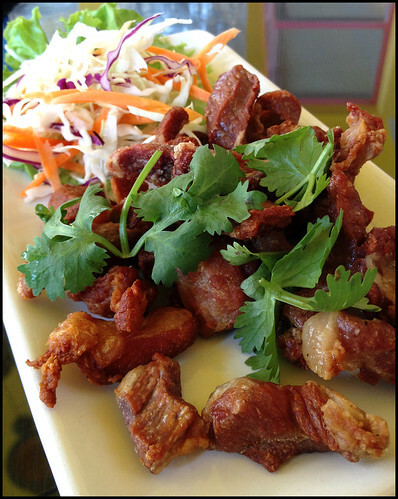 And finally - and this one does go well with a beer if you have the chance to try anywhere ... Sun dried pork (beef also available), in Thai it's called Moo Det Deow (หมูแดดเดียว). I can nibble several plates of this! 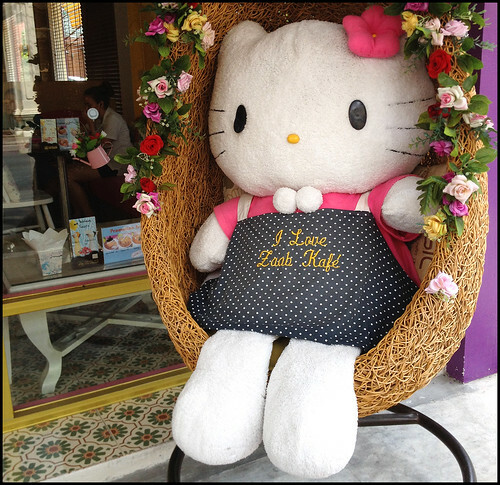 Phuket Town is the place to find this kind of local restaurant. They are all a bit different, especially newer places that are built with a bit of an individual touch. Not just plastic chairs and tables selling the same old Thai food. 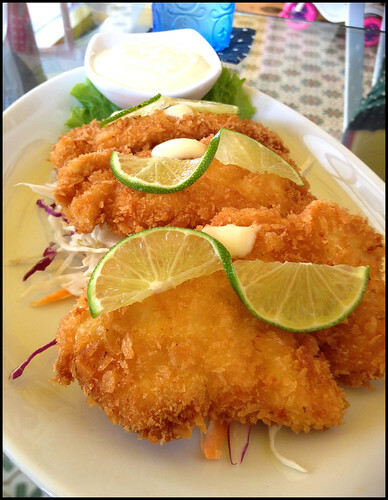 We like to find something interesting with dishes that we can't get in other restaurants. 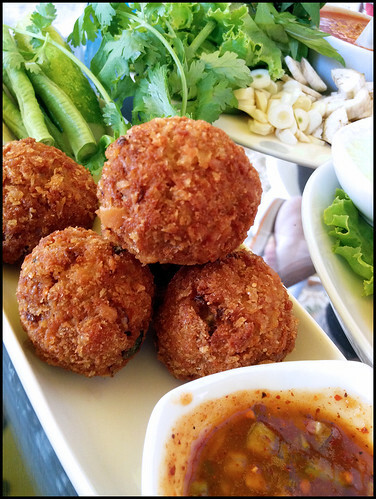 I am glad that we live close to town because in the last few years there have been plenty of new restaurants and cafes opening up away from the more touristy areas of Phuket and offering some tasty treats.